A laptop with a short battery life is a nuisance, especially when you’re on the road and nowhere close to a power socket. To make each individual charge of your battery last longer, learn about the 20 Ways To Increase A Laptop’s Battery Life 20 Ways To Increase Laptop's Battery Life 20 Ways To Increase Laptop's Battery Life Read More . What is even more annoying than a drained battery however, is a dying battery. Battery lifetime not only depends on the type of battery and its quality, it also depends on how the battery is cared for. 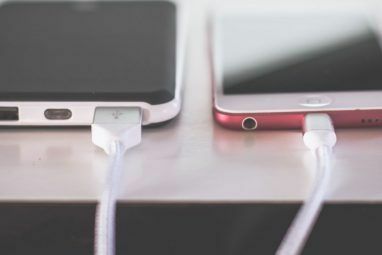 In this article I will explain what determines the lifetime of Lithium-Ion batteries, the type of rechargeable battery found in most if not all modern laptops, and what you can do to increase your battery lifetime. Modern laptops are almost exclusively delivered with Li-Ion batteries. They are lighter, offer a higher performance, maintain their charger longer, and are less susceptible to the dreaded memory effect than previous types of rechargeable batteries. 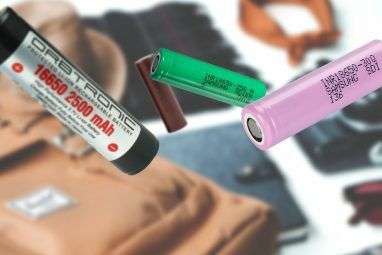 In the US, Li-Ion batteries are classified as non-hazardous for the environment as they do not contain free toxic metals. 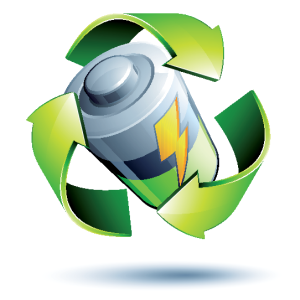 In the EU however, vendors are required to recycle at least 25% of the batteries they produce. After all, Li-Ion batteries do contain material worth recycling, although the cost of doing so is rather high. The predominant statement you will find is that new Li-Ion batteries do not require priming. Nevertheless, you should fully charge your Li-Ion battery before using it for the first time. Li-Ion batteries have a lifetime of 300 to 500 full charging cycles or up to 2000 partial cycles. There are reports that cycling a Li-Ion battery after long storage periods, i.e. fully discharging and re-charging it for two or three cycles, leads to to capacity gains. Other sources recommend cycling Li-Ion batteries every couple of weeks. Generally, you should not fully discharge your Li-Ion battery. While Li-Ion batteries do not have a memory effect and don’t need to be primed or cycled to maintain full capacity, their lifetime can still be shortened dramatically, if not cared for right. Two things can damage Li-Ion batteries: deep discharges and heat. All of the following battery DOs and DON’Ts are derived from these two major factors. partially discharge and recharge (no memory effect). take out battery when laptop is running with AC power connected. store battery in refrigerator with a 40-50% charge. cycle the battery every few weeks or after every 30 partial charges. leave fully charged battery in laptop while running on AC power (heat damage). buy old Li-Ion or spare batteries (Li-Ion batteries age, see below). One more thing to keep in mind is that Li-Ion batteries begin aging the moment they are produced and there is little you can do to prevent this. What causes the aging is that the electrolyte slowly breaks down the positive plate, causing the internal resistance to increase to a point where no energy can be delivered. A partial charge and low temperatures slow down this process and hence increase the lifetime of your battery. 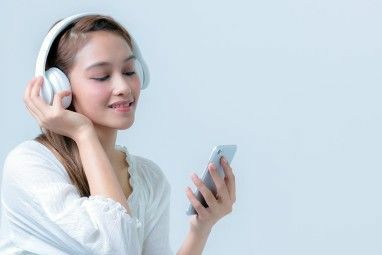 Li-Ion batteries are superior to Nickel-Cadmium or Nickel-Metal Hybrid batteries in that they deliver a higher performance, show a much slower self-discharge, and don’t have a memory effect. However, they do age, withstand only a limited amount of charge and discharge cycles, and are damaged by heat. The best thing you can do to preserve battery lifetime, is to store your laptop battery in a cold place whenever you have reliable AC power available. Alternatively, maintain optimal cooling and airflow to decrease heat buildup. In any case you should perform a full discharge and recharge cycle every few weeks and avoid fully discharing your Li-Ion battery in the meantime. DON"T PUT YOUR BATTERY IN THE FRIDGE. Cold and heat can ruin your battery life. With a battery at room temp, you will have a 1% normal discharge in a months time span. If you put it in the fridge for a month, then take it out, you run the risk of water getting inside. It's completely safe to leave your battery in at %100 and have the AC plugged in. Your laptop shuts off the conductors to the battery, leaving it safe from overcharge. You also don't have to cycle every few weeks, you can do it every 2-3 months. Put your battery in a COOL, not COLD place. Thanks pfor the article but... Most of it is not accurate. First don't search in wikipaedia for info. Grabo the phone and call a battery manufacturer. Bateries age this is the true since we are making two quimicals react. Litium ion, have a 20 to 30% capacity lost per year. So what is best... Well you have to choose light power, short life, or heavy, lees powerfull and long life. So plug your battery use AC ahilé charging then disconect then charge again and buy one of this platforms to kkep the laptop in the office. Discharge, will balance the cells on the batteries. So let once each two months your laptop die on power that is a safe way to dos harte your battery. And charge again to full with out using it. you basically summarized my article, didn't you? So was there any inaccuracy you meant to point out specifically? PS: I recommend a spell checker. Most browsers come with them by default. If I take out the battery when it's fully-charged then just work with it plugged-in. Will my laptop crash if there's a power surge or let's say there's a brownout all of a sudden? Since the laptop is using an external power then without that source would immediately cause abrupt system shutdown. Similar in a situation when you press the power button which would cause a quick shutdown and this would result errors involving the hard drive. It's best for the battery remain attached, but remove only when you're planning to utilize the AC adapter for a long period of time or schedule for storage. Unfortunately, Alex is right. If you remove the battery from the laptop, you rely on AC power and if that fails, your laptop will turn off, just like a regular computer. You could just leave the battery in and when it goes bad one day, buy a new one when you travel and need to rely on it. When you're at home or have dependable access to AC, use the old battery as a backup for power surges. On battery label it says "may contain toxic materials" and what about UPS, Mobile phones and game device batteries? depending on the definition, even plastic can be considered toxic. It's made from oil. In the US, Lithium Ion batteries are considered non-toxic trash. In Europe, companies have to take them back to recycle them. I would always recommend to try and have them recycled! Do not trash batteries! What's the difference between a deep discharge (don't) and cycling the battery (do)? In my opinion: Deep Discharge: when you completely drain the battery's capacity that eventually lead to an immediate shutdown. Cycling: the process of charging and recharging, the battery loses its energy when used but gain back when recharged. This is an repeated process. A cycle is discharge to around 20% of battery capacity, followed by a full recharge. A deep discharge is a discharge below 20% of battery capacity. One thing you should mention is that the batteries should be put in ziplock bags before being stored in the refrigerator. I completely forgot about that. Great input, Ashutosh! Could the battery gradually 'freezes' and damage the hardware? What would happen if the battery is placed inside a refrigerator for a long period of time? Freezing is not recommended. If the battery is steadily kept at around 4°C it won't be damaged. But storage temperatures below 4-0°C will damage it. One thing to note through is that the 3rd DO tip "take out battery when laptop is running with AC power connected" maybe should be reworded - as I don't think you should removed a laptop battery while it is connected to AC. Instead "if the laptop is running with AC power only for long periods of time, the battery should first be removed" or something along those lines. good point. If you are working on your laptop for several hours and have the AC connected, definitely take out the battery once it's fully charged. Keeping it in the laptop after it was charged is damaging because it is exposed to the heat of the laptop.